Make no mistake my friends, there is a lot at stake when deciding what to feed your family, so when someone tells you a steak is a steak is a steak … they are either misguided or simply unaware of the differences in the choices available. 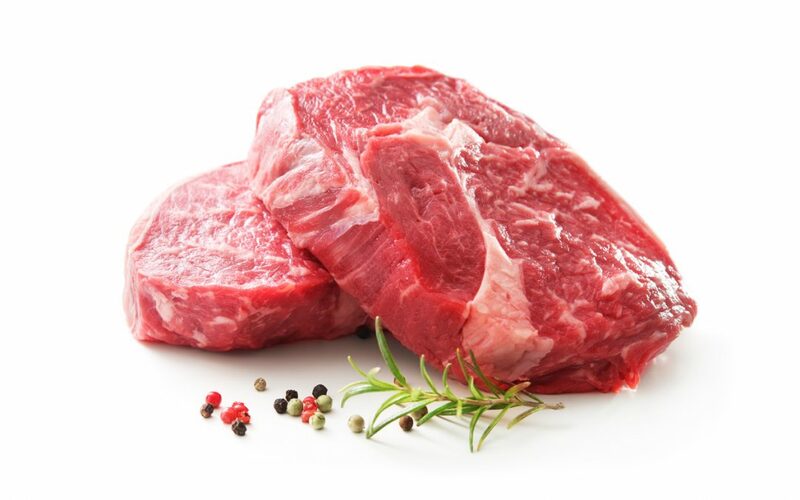 Never fear, we are here to help with pasture-fed beef vs grass-fed beef. Much of the beef consumed comes straight out of cramped feedlots where the cattle are fed copious amounts of GMO grains to maximize weight gain of the animals. Health conscious and educated customers see many pitfalls to this type of mass production, including a heavy impact on the environment. With more and more consumers searching for better options, the food market is now ripe with confusing terminology. Pasture-Fed Beef vs Grass-Fed Beef – What’s the Difference? This sounds complicated, but really it’s not. Grass-fed describes what is being fed, whereas pasture-fed describes where the animal is being fed. A classic case of what versus where. So a pasture fed cow can also be a grass-fed cow, but only if the pasture in question has ample grass to sustain the herd all throughout the year. A pasture fed cow could also be raised, or at least finished on nothing but grain, yes even GMO grain. Grass-fed beef is an important term, but still consumers must pay careful attention as not all grass fed beef is created equal. Grass-fed could mean the animal ate grass once upon a time, grass finished could mean the cow was fed grass in the months leading up to market. At Rafter W Ranch all of our cattle are raised purely on grass for their entire lives. To give our customers the best meat on the market and to sustain the land we deeply care about, we rotate our herds daily. And even more importantly, we NEVER feed grain of any kind which has earned our ranch certification by the American Grassfed Association. We live and work on the same Colorado soil where we raise our cattle so the health of our lush pastureland means as much to us as the health of your family does to you. There are a growing number of local farm to table options for consumers in many areas, but as consumers, we must be vigilant and ask the right questions in order to truly understand where our food is coming from. Researching pasture-fed beef vs grass-fed beef can be both time consuming and confusing, but well worth the extra effort. Or you can easily satisfy your need for pure, grass-fed beef by ordering direct from us here at Rafter W Ranch.